A heart failure patient who often feels lonely or left out is more likely to require hospitalization than one who rarely feels socially isolated, a new study shows. The assessment, published Wednesday in the Journal of the American Heart Association, also found a higher risk of death among those who feel very socially isolated. But the researchers also learned that a brief, four-question survey can reliably identify patients with such risks, opening the door to effective intervention. 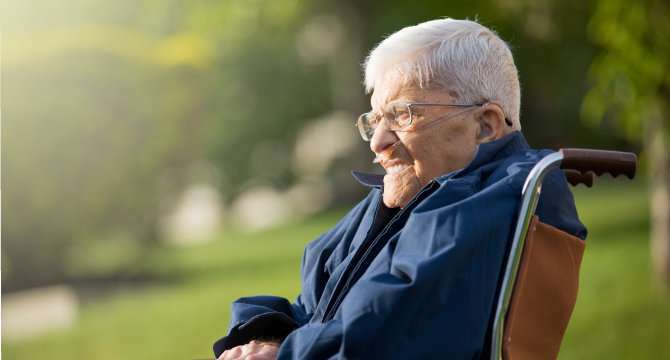 "Screening for social isolation during the clinical encounter may provide an opportunity to refer such patients to available resources within and outside of the clinic," said the study's senior author Lila Rutten, an expert in population health and health outcomes at the Mayo Clinic in Rochester, Minnesota. Medical researchers have known that feelings of loneliness and social disconnect—often called "perceived social isolation"—can impact aspects of a person's health, at all ages. Past studies have found sleep disruptions in lonely children; links between perceived social isolation and depression in adolescents and young adults; and cognitive decline and dementia associated with loneliness later in life. But Rutten said the new study is one of the first to rigorously address the link between heart failure patients, prognosis and perceptions of social isolation. Clinical psychologist Barry J. Jacobs said the findings represent an important new milestone. "While I have seen studies that link social isolation to decreased health outcomes, I have not seen any that show so clearly its implications for health care utilization and consequently costs," said Jacobs, director of behavioral sciences for the Crozer-Keystone Family Medicine Residency Program in suburban Philadelphia, who was not involved in the new research. More than 6 million people in the United States live with heart failure, a devastating disease in which the heart is too weak to effectively pump blood throughout the body. Many of those patients are older. And many have other chronic illnesses, Rutten said. So, a heart failure patient may need to deal with medications, regular office visits, a particular diet and medical devices. A patient with a strong support system may be able to keep track of it all, but a patient who feels alone may struggle. "We sought to … begin to lay the groundwork for understanding how such patients might be better cared for and supported," Rutten said. In the study, she and her colleagues surveyed more than 2,000 Minnesota residents diagnosed with heart failure between 2013 and 2015. Although only about 6 percent of those surveyed reported high perceived social isolation, those patients were 3.5 times more likely than their low-perceived-isolation counterparts to die during the average follow-up time of eight months. Patients who felt very isolated were 1.7 times more likely to be hospitalized, and 1.6 times more likely to visit the emergency room. Importantly, the team measured "perceived social isolation" with a well-validated and extremely quick survey that involves asking patients just four questions, such as "I feel that people barely know me," with one-word answers such as never or rarely. This short screener "could be the difference between giving a patient routine care and referring for enhanced care, including increased social supports and mental health evaluation," Jacobs said. He said the work should change clinical practice. "We should have a higher index of suspicion for patients' perceived social isolation and we should incorporate evaluating them for that as part of our routine practice," he said. Jacobs helps run a program for frail and elderly "high utilizers" of health care in the Crozer-Keystone system. Most of the patients in the program have heart failure, he said, and the new study findings reflect his experience. "We've been most successful in reducing their heart failure and [hospital] utilization when we provide them with increased support, rally their family members to help them with their medications and diets, and address their underlying depression and anxiety."